WilloBurke is located in the heart of East Burke Village and features a charming boutique Inn, Nordic Spa, and an outdoor seasonal Nordic Pub. WilloBurke offers a variety of event options ranging from weddings, retreats, wellness packages, and private soirées. 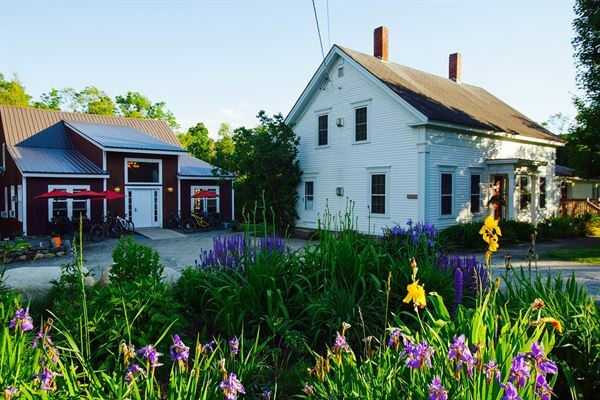 Recognize by Vermont Black Diamond Awards as the third best inn, hotel and lodge to stay in Vermont, make WilloBurke the site for your special event! Nestled in the North East with 10,000 square feet of meeting space, Burke boasts seasonal and year-round amenities, 116 stylish suites and a central location between Boston, MA, Burlington, VT and Manchester, MA. Get down to business in our state-of-the-art facilities with sophisticated technology and indulge in our full catering service or Resort eateries. Have some fun on the same mountain Olympian Mikaela Shiffrin trained or ride world-famous Kingdom Trails—either way Burke beckons.